Laura Gibson’s music cuts deep. 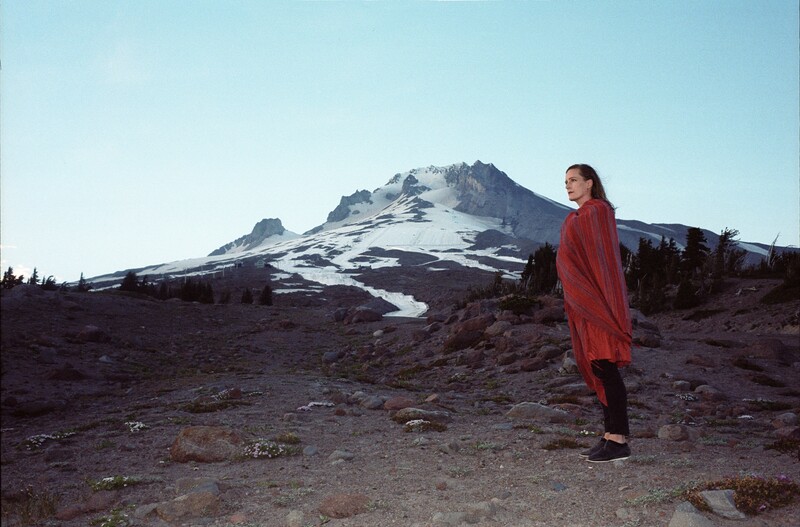 Across five full-length albums, the native Oregonian and classically trained cellist has explored the power of love, intimacy, desire and death in devastating detail. Constructing a singular narrative voice informed by her childhood in a logging town, her work in the medical field and her multitudinal work as a composer, arranger and playwright, Gibson’s work cuts so close to the bone that NPR’s intimate Tiny Desk Concert format was created specifically for her after host Bob Boilen couldn’t hear her at a traditional performance. CW: After Goners was released in October, you closed out 2018 playing shows across the U.S. and Europe. What lessons did you learn that will be put to use on this first run of 2019 tour dates? Laura Gibson: This time around, my friends Stelth [Ulvang of The Lumineers] and Dorota [Szuta] are opening for me and acting as my backing band, so I have a totally different lineup. The challenging thing is also that there are three of us instead of four, so everybody’s playing a little outside of their comfort zone in order to pull off these very orchestrated songs. That’s always great, though. I’ll be playing keyboards, which is not my first instrument. But I’m always interested in stretching myself, even if that means there will be a few nerve-wracking shows. CW: You’ve been performing for more than a decade, often in very intimate environs. Do those nerves still affect you? Laura Gibson: I was having a little bit of anxiety on stage [in 2018], which I don’t often experience. But someone gave me really good advice: If you’re ever feeling anxious, just try to focus on listening instead of playing. Feel what’s happening in the room. Feel the drums and the bass. That’s been a really nice exercise for me if I feel like I’m getting lost in a song. CW: When you perform a song on stage for the hundredth time, do you still feel connected to the emotion that inspired its creation? LG: I always come back to the spirit of writing the songs, which is a tricky thing when you’re taking something based in emotion and making it technically challenging. But I try and seek that initial feeling, even if I’m playing two instruments and loop things. CW: How does that apply in the case of Goners, which is so intensely personal? LG: In some ways, everything I’ve ever written has to do with grief. It’s the most common emotion that we as humans share—even more so than love. At some point in our lives, we all experience great loss. When I was 14, my dad died; within a couple of months, one of my best friends died, too. It was such a formative time—and I think of it as the time when my artist self was born. So grief is one of those things I’ve been digging at my whole career. I asked myself, “What would it be like to write an album that specifically looked at grief? What things would I discover?” I ended up writing less about rehashing wounds and more about tracing grief throughout my life, and then thinking of the ways that loss defines us. The ways we project loss onto other people, for better or worse. Also, maybe loss builds within us a greater capacity to love. I wanted to trace that loss within my life. City Weekly: So your experience with the songs on Goners reflects more of an ongoing process. LG: I have these strange miracle moments when I’m performing where I’ll catch the thing I’m saying in a new way, feeling connected to it or understanding myself. Even though I wrote these songs about a year and a half ago, they’re still pretty fresh. And my life isn’t so much different now. I’ve certainly grown in ways, and I’m excited to see things through the lens of what I’m experiencing now. I ask myself, “Did I mean that?” Or, “I wonder if there’s truth buried in that line that I didn’t even think about it until now.” Circling back to songs over and over again is a pretty wonderful part about writing them. CW: You wrote some of the lyrics during an artist residency at Everglades National Park in South Florida. What was that experience like? LG: I loved it so much, and it remains one of my favorite places. It was a strange time to go there, though. I went right after [President Trump’s] inauguration in February 2017—a strange moment in the world. I felt like I needed to be active, and here I was going to hide away in the wilderness. But it ended up being one of the most life-giving months. I get a lot of energy from learning, so I spent a lot of the month just nerding out on the ecology, history and flora & fauna of the Everglades. It’s such a surreal landscape, and I feel like walking and trudging through water allowed me to really dig in to these songs. It opened up space within me to stretch myself a little further. The surrealist nature of the lyrics came about because they began in this very surrealist environment, too. CW: Walking, hiking and snowshoeing are recurrent themes in past interviews. That’s something we can relate to here in Utah. How pivotal is it for you as an artist? LG: Nature plays such a big part in my well-being. It’s where I draw a lot of imagery. I tend to somehow see myself and my humanity more clearly when I’m seeing it as a reflection of a place or a landscape. Also, my dreams are often very landscape-oriented, and I’ve narrowed in on these small moments of intimacy with other people that are woven into loss. Those tiny moments can feel very epic in nature. Often when I’m thinking of relationships, I think of these epic journeys that happened and the ways we try to reach other psychologically. CW: Another Utah-related question: The video for “Domestication” is clearly influenced by the FLDS branch of the Church of Jesus Christ of Latter-day Saints. Was that top of mind for you during its creation? LG: I knew this would come up [laughs]. I clearly borrowed the aesthetic very directly from some of the photos I’ve seen of FLDS women. I was so struck at first by the strange, beautiful sight of seeing them in pastel dresses, so I wanted to recreate that in a way. But I also changed the style a bit because I was more interested in drawing a speculative world—borrowing some elements from the FLDS aesthetic to create a future society. I was much more interested in observing that society in general and at large than pointing any fingers toward a particular group of people. It’s tricky, and it did make me pause and consider what sort of stories we choose to tell. When is it OK to borrow from communities? That’s a good question to ask. CW: Have you performed in Utah much in the past? LG: I have, and Salt Lake City is one of my favorite cities to play. It’s funny, we were just laughing about going back to Kilby Court again. I’ve played at other places, but I always end up having the best shows at Kilby Court. There’s something really magical about that space and its limitations. So I’m really excited. CW: You completed an MFA degree in writing at Hunter College. How did that impact your songwriting? LG: I focused on fiction during my MFA, partly because I’ve been so in love with books my whole life. A lot of my songwriting has been a response to fiction that I’ve read, so I felt very compelled to respond by writing longer stories that dig into characters more than you really can in a song. It’s something I’ve held in the back of my mind as a dreamy sort of thing to do, and finally I reached a point where I felt like I needed to challenge myself—to break myself open in a new way. And graduate school’s a somewhat responsible way to break yourself open [laughs]. So I applied not knowing whether I’d even get in. The story I applied with was the first short story I’d ever finished, but it got me in to the programs I applied to, specifically my dream school, which was Hunter College in New York. So I decided to go for it. The funny thing is I thought, “Well, I’m taking a break from music in order to write this other thing,” and all of a sudden I started writing songs, which became the record Empire Builder. Since graduating, I’ve realized that you’re able to get away with a lot more in songwriting. You can throw abstract ideas in—and they can work. In fiction writing, if you have abstract ideas, you really have to ground them in concrete objects. So the most noticeable difference for me—and perhaps it’s only noticeable to me—is I tend in my songs to pay a lot more attention to concrete objects that I’m using in order to talk about giant, abstract things such as love, intimacy, loss and identity. I also spent two years reading three books a week, just completely absorbed in language. That can only help with making music. CW: How do you write music? Do you have to implement a structure on yourself, or can you write in a more spontaneous way? LG: I tend to think about songs as belonging in collections, so I’m somewhat structured when I make a record. I’m not good at writing songs here and there. I wish I was; I have friends who seem to accidentally write songs on their drive to work. I did do a solo tour the year I was working on Goners, when I took the train quite a bit, and I ended up writing a lot of lyrics on that trip. But I had started a lot of the songs already, so I was in the process of thinking about them. I’m either in a project wholeheartedly or not in it at all. I spent a lot of this summer working on fiction, and I'm not sure when I’ll make another record after this because I do want to dig in to a longer book project. I can only focus on one creative project at a time. I have to put in the time at the office in order to have that sort of transcendent song-handed-to-me experience. CW: How do you balance the demands of day-to-day life with those transcendent moments? LG: It’s tricky, and there are a lot of parts to it. I’m essentially running a small business at the same time as being a creative person. So many down-to-earth tasks have to be completed, which is why I really have to set aside space and time to be creative. That’s also why I’m always helped by getting out into nature, which really connects me to that sense of myself—and to that mystery I feel compelled to explore with the songs.